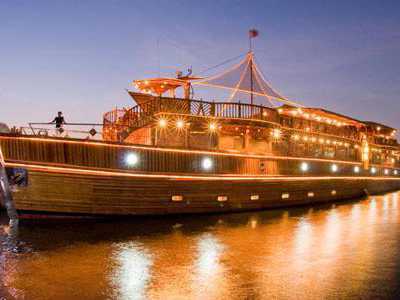 Rustar Dhow Cruise offers a romantic and thrilling cruise along the historic Dubai Creek with its scenic views all around. 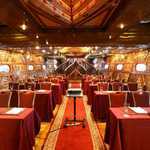 The most interesting part of the cruise is that the dhow itself creates a magical setting with its intricate design and the artistic wooden carvings that reflects life in the old days. 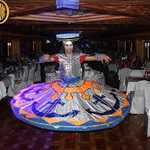 Keep your party live all the time while enjoying five star comforts onboard the Rustar dhow. Indulge royally, admiring the stunning vista of Old and Modern Dubai. The pick up is done from designtaed pick up locations/ hotel. 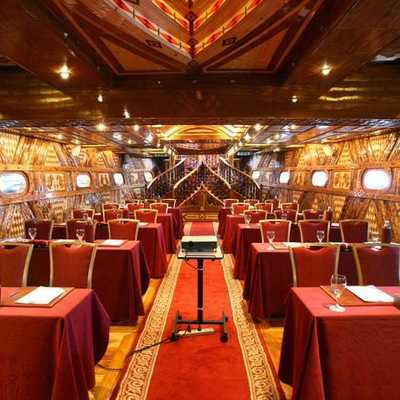 Once you reach creek you will then proceed to board the magnificent boat where a welcome drink is served. 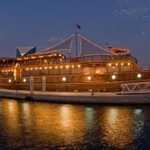 The cruise sets sail at 9:00 pm and cruises until 11:00 pm, while cruising you will see a mix of modern landmarks and historic sights like the British Embassy, Maktoum Bridge, Dubai Court, The floating Bridge, Dhow Wharfage, The Old Souk/Spice Souk, Heritage Village, Sheikh Saeed house, Grand Mosque and The Old Boat Port. 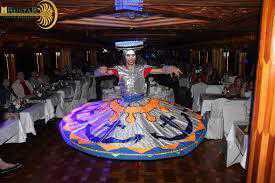 While having a romantic dinner you can enjoy the entertainment shows aboard such as the Tanoura show, Live Dancing Horse Show. After enjoying a sumptuous dinner and soaking in the sights of the creek, our chauffeur will take you back to the drop off location. Booking can be made through our website and prices include pick up/drop off, dinner and soft drinks. The online payment system is available for your convenience and activities are suitable for all ages. Cancellation charges are applicable and seating is based on availability. Bookings will be accepted through our website booking form.